Heat a large skillet over medium-high; add butter, and cook until butter melts and begins to brown, about 1 minute. Add coriander seeds, and toss to coat. Cook until toasted and fragrant, about 1 minute. Add carrots, and toss to coat. Stir in brown sugar and salt. Add beer to skillet. Bring to a gentle boil over medium-high, and cook until carrots are tender when pierced with tip of a knife, about 20 minutes. (If beer reduces completely before carrots are tender, add a splash of water.) Stir in vinegar, and remove from heat. 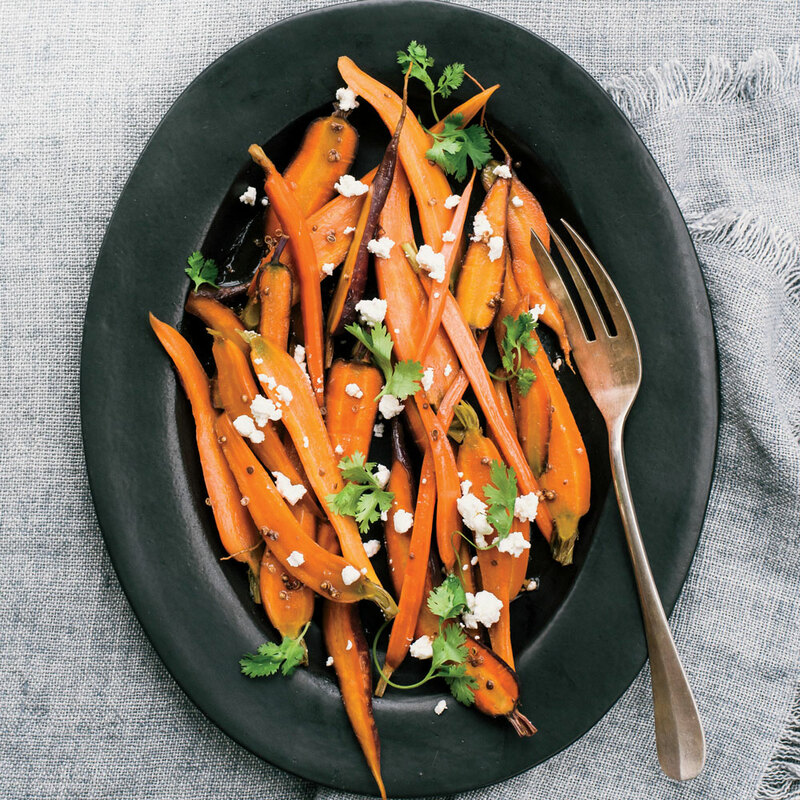 Using a slotted spoon, arrange carrots on a platter; discard cooking liquid. Top with crumbled feta and cilantro sprigs.